15.6" x 21.1" stitched on 14 count. 12.2" x 16.4" stitched on 18 count. Anne of Cleves cross stitch pattern... 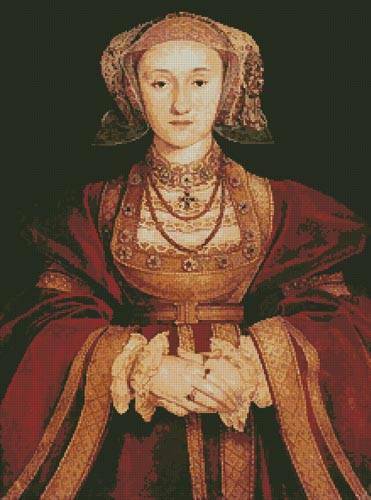 This counted cross stitch pattern of Anne of Cleves, the fourth wife of Henry the VIII, was created from a painting by Hans Holbein the Younger.